We wanted to create something that both deaf and hearing audiences could enjoy. My father is quite old now and he’s increasingly hard of hearing. Starbucks has opened its first American Sign Language (ASL)-centric store in the US to better serve hard of hearing customers. The store in Washington is just blocks from Gallaudet University, one of the nation’s oldest universities serving deaf and hard of hearing students. Marlee Matlin, the only deaf actor to win an Academy Award, posted an Instagram video of herself ordering a drink early Tuesday. ‘The sign for the week is COFFEE,’ she wrote. 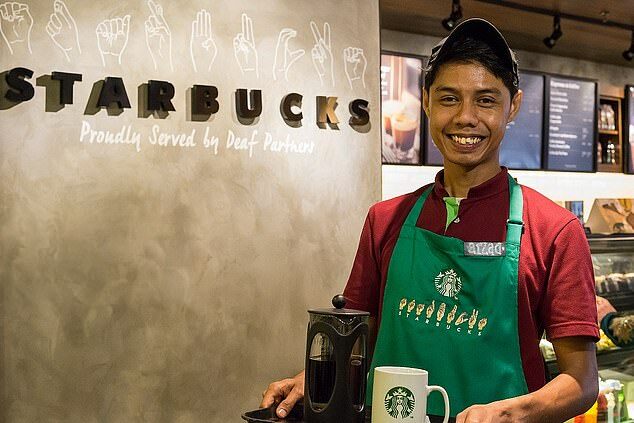 Deaf partners will wear special green aprons embroidered with the ASL finger spelling of Starbucks. I am embroidering this picture for my mother. Hearing partners will wear traditional green aprons with ‘I Sign’ pins. According to the company’s press release, there are also opportunities for the hearing to learn some signing with the ‘sign of the week’ chalkboard above the register. ‘This neighborhood is one of the most diverse I’ve seen since moving to DC,’ said barista Crystal Harris through an interpreter. Harris said as someone living with hearing loss, versus being totally deaf, existing in both worlds can be a challenge. The Deaf community includes a wide spectrum of people without any hearing or with limited hearing as well as their hearing allies. 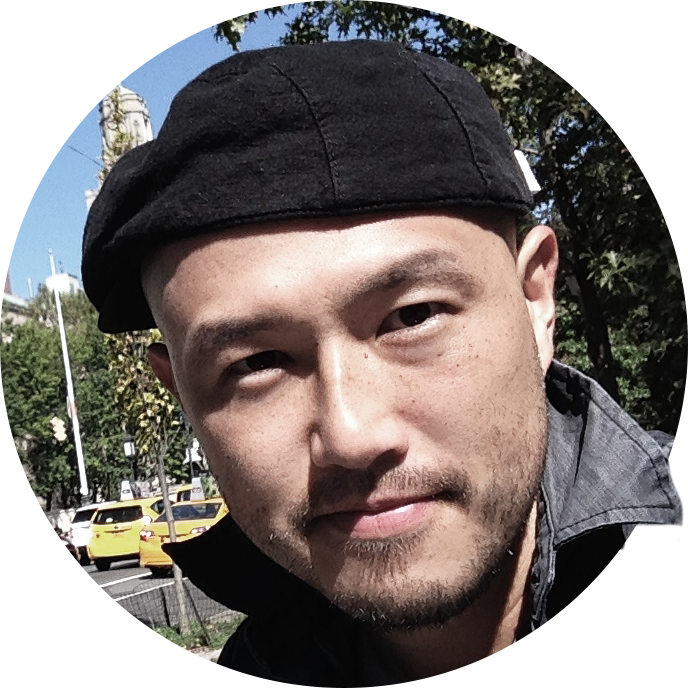 ‘This store will represent what it means to bring communities together. All of them,’ Harris said. When Margaret Houston, district manager, presented them with their official store aprons, they laughed and cried and cheered each other on, both vocally and with fingers waving, the ASL sign for applause, according to the press statement. More than 200 deaf employees are employed in Starbucks locations globally, the company said in the news release. 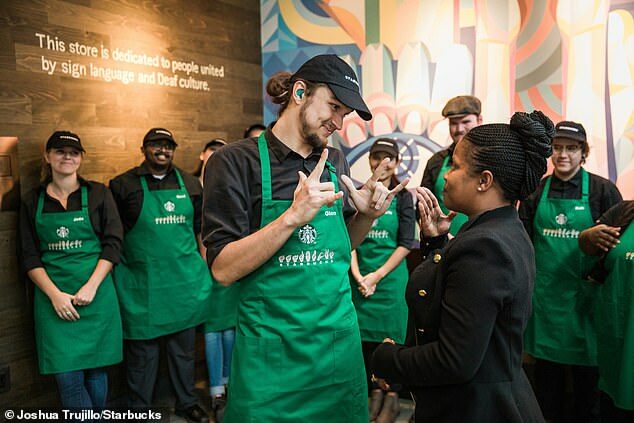 Those employees often work with hearing partners who may not be proficient in sign language, though, said Marthalee Galeota, senior manager for accessibility at Starbucks. 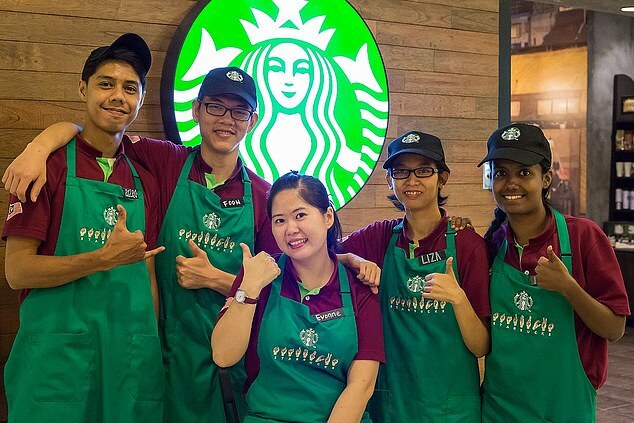 A team of deaf Starbucks partners and hearing allies led the effort to launch the DC store after being inspired by a similar store in Kuala Lumpur, Malaysia, which opened in 2016 with nine deaf partners. The course covers a wide spectrum of musical activity from opera to rock. A wide spectrum of opinion was represented at the meeting. If you’re going to succeed in this job you will need allies. She‘s proficient in two languages. It takes a couple of years of regular driving before you become proficient at it.